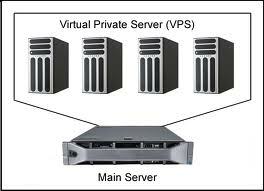 Virtual private server hosting plans involves partitioning physical servers into multiple virtual machines. 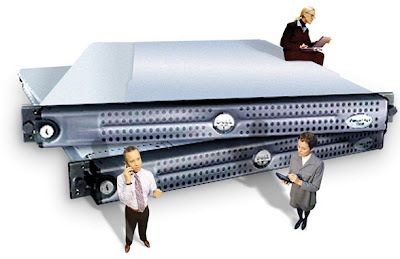 Also called a virtual dedicated server (VDS), as a virtual server, VPS seems to the user to be like a dedicated server, however it is installed on a computer that serves multiple websites. Each partition can act as a virtual dedicated server. Each VPS has its own bandwidth and disk space, and operates its own operating system that runs the hosting software for a specific user.Although the websites are hosted on the same physical machine, VPS permits each website to be completely independent. It is like each website is on its own separate machine. For each virtual private server, the hosting software can include the following: a web server program, a mail server program, a File Transfer Protocol (FTP) program, and various applications for such activities as blogging and e-commerce. 1. Because VPS permits numerous websites to be hosted on the same server(s), the result is economical costs for the end user which is ideal for businesses on a limited budget. Also, for many website owners, the efficiency of VPS hosting makes it possible for the Internet to scale. If it did not, the maintenance costs and hardware expenses would be so high that it would be out of reach for a significant number site owners. 2. A dedicated server can cost several hundred dollars each month, but VPS plans can cost less than $10.00 per month per domain. This means if you have five websites, you are saving thousands each year using VPS hosting. When it comes to domains, the operations for each domain name stays independent from other domains hosted on the same virtual web hosting server. Through a web browser interface, management of the domain's resources is done on the server. 3. Because you can run all of your websites on the same server, the majority of the administration is centralized so the costs of hosting multiple websites are much less than if you were to host many websites on numerous independent servers. 4. Another important benefit of VPS hosting is that the VPS control panel allows for the simple installation and management of such important web software as: Forums, Google Analytics, Wordpress, and more. 5. Privacy is another benefit of VPS hosting. Only the user is able to access the area of the server where their websites are located. The hosting package that the user has acquired controls such technical aspects as increasing bandwidth and disk space, however users are granted rights for such tasks as posting HTML files and articles, and uploading photos to their blog. The server administrator will increase the users resources as required. What To Look For In A VPS Hosting Plan. 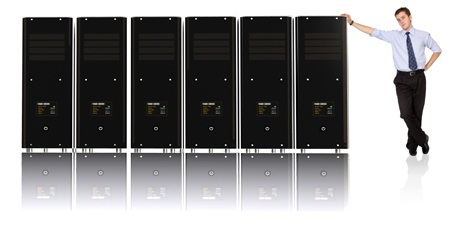 Basic VPS hosting plans are very affordable. These plans should come with a number of important features such as: sufficient bandwidth and disk space, an administration control panel, and email accounts. If you are not that tech savvy, you will benefit from the control panel coming with many features that will simplify the process of website management and site design. The server's administration team of a quality VPS hosting provider will always offer direct support. There will normally be other support options offered such as: help portals, FAQs, and online information forums with other users for trouble shooting and other issues. Why Choose Virtual Private Server Hosting? VPS Hosting bridges the gap between dedicated hosting and shared hosting services. You get the flexibility, scalability, and independence of a dedicated hosting service, but at a much more affordable price. It is ideal for users who have outgrown their shared hosting service but do not have the budget for a dedicated server. As well, if you have multiple sites, a lot of stored files, dynamic content, and there is a chance of receiving a swell of traffic every once in a while, then you may want to consider Virtual Private Server Hosting.